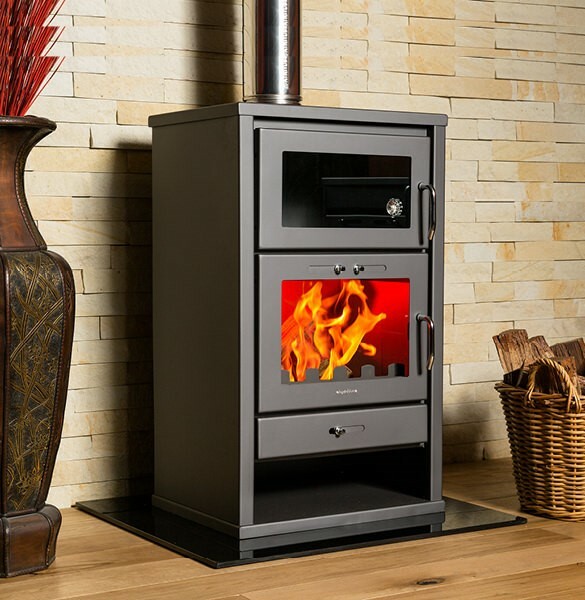 The perfect partner to ward off the winter chills, the stylish steel Triumph F fireplace is a freestanding, wood-burning unit that warms medium and large areas quickly and economically. In addition, it also boasts an additional feature, an oven compartment above the combustion chamber, perfect for baking, roasting or warming food, and great for saving electricity too! 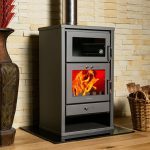 As with all Hydrofire products, the Triumph F was imported from Europe, having passed strict CE certification testing, so you can trust that any fireplace bought from us is of the highest quality. For your peace of mind, all our steel fireplaces come with a 2 year warranty to boot.